Skin tags are small, usually harmless (benign) skin growths. Skin tags are very common and typically occur after midlife. Skin tags (medical term known as acrochordons ) are usually painless. However, they may be irritated from rubbing by clothing or other materials. 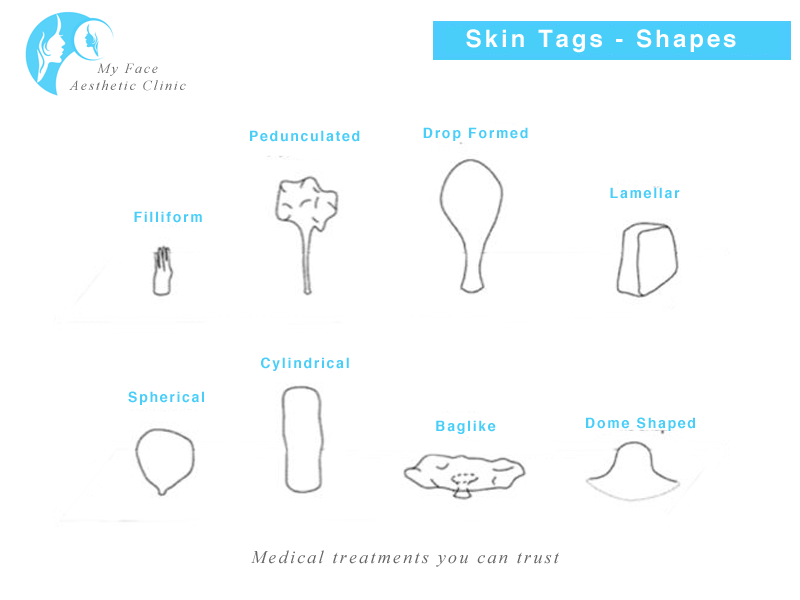 Skin tags are thought to occur from skin rubbing against skin, so they commonly form in skin folds. Some individuals may be more prone to tags (greater than 50-100 tags) either through increased weight, heredity, or other unknown causes. Males and females are equally prone to developing skin tags. Most doctors recommend removal of skin tags only when they are irritated or a source of discomfort, or if they constitute a cosmetic problem. Skin tags can be easily removed in our clinic by cutting them after injecting a small amount of a local anesthetic.